I have a sweet cookie card for you today. 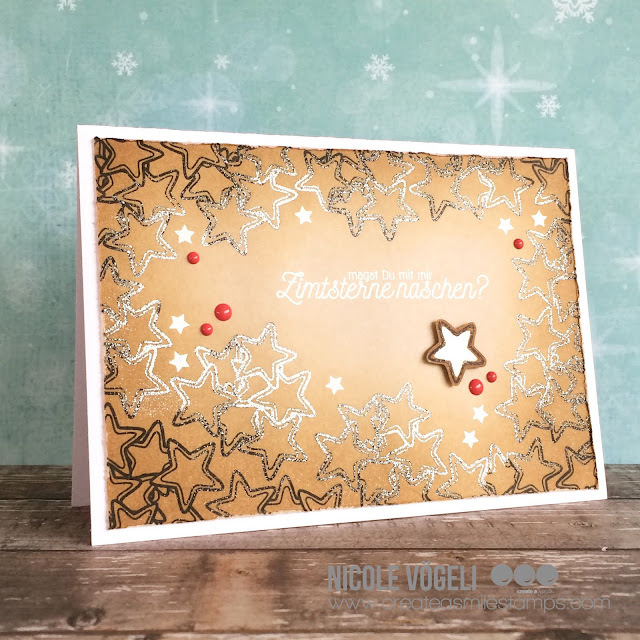 stamp your sentiment in the center and cover it with white embossing powder. Normally, you wouldn't want the embossing powder to stick to something else than your sentiment but here, that's just what I wanted. I left the embossing powder on a part of the star frame and melted it with my heat gun. This made the center shine. add some brown Distress Ink (a shade darker than your card stock) on the edge of your panel. This helps to make the center shine even more. 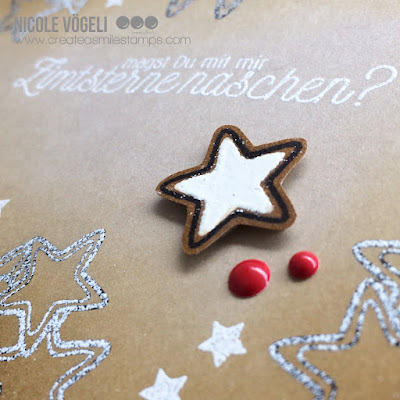 stamp one single star on some craft paper, add a little Distress Ink on the edges and dry it with a heat tool. Then use a Versafine pen (or a glue pen) to fill in the star with embossing powder. I did two layers of embossing powder to make it look like icing on the cookie. 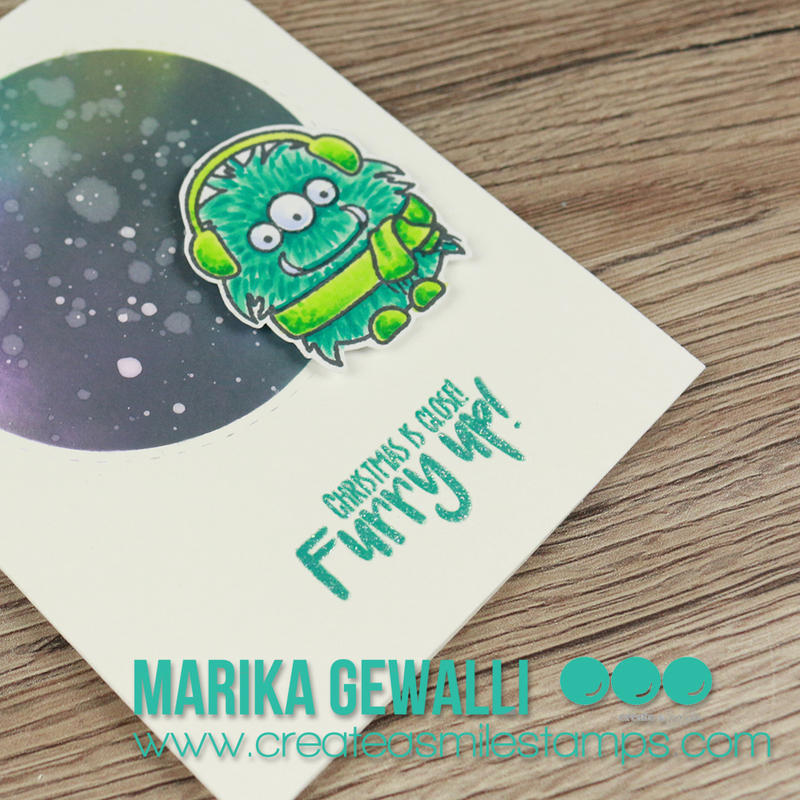 Create A Smile has a huge variety of stamps: funny monsters, elegant ornaments, happy sentiments, super cute critters and much more... 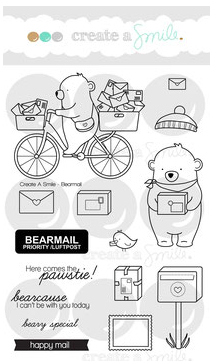 Check out the Store and let Santa know your wishlist ;-) One of my favorite stamp sets is BEAR MAIL... it's so cute and you can use it all year through! With Christmas less than a month away the Christmas card production is running high over here in my crafting area! Today I have two simple Christmas card to show you. There are always people under our friends and family you need elegant Christmas cards for. These cute critters that I like so much don't seem to fit for these kind of people. That is when the set Delicate Decorations comes in handy - perfect for traditional and elegant cards. Stamp and heat emboss the baubles in white on vellum. Colour them from the backside with alcohol markers. 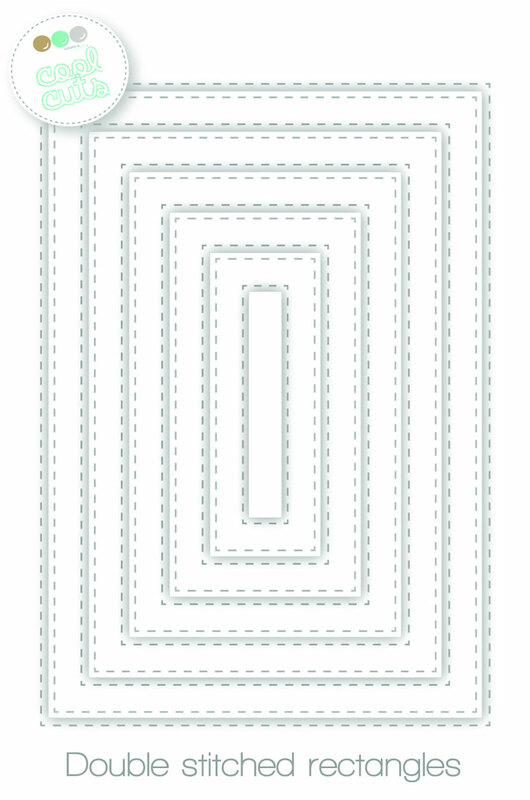 Die cut a frame using two of the Double Stitched Rectangles. Add silver twine to create strings for the baubles. Stamp and heat emboss the sentiment in silver on a stripe of white cardstock. There are still some products on sale - up to 30% off. Just click here. 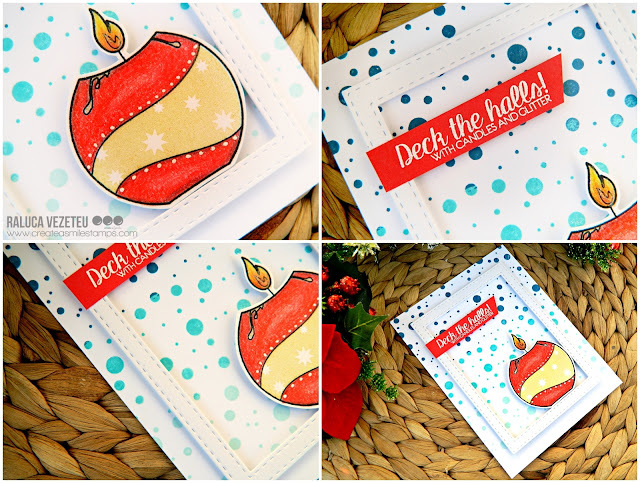 Raluca here with a new card showcasing the "With Candles and Glitter" stamp set that you can find in the SALE section. First I prepared a white card base and created an ombre background using the Dots cling stamp ad three shades of blue. Next I created a white frame using two of the stitched rectangles ad mounted it onto the card base. Then I stamped the candle and colored it with pencils, fussy cut it and mounted it on the card. The final step was to stamp and white heat embossed the sentiment on a red strip of cardstock and then adhered it to the card. And my card was done. Super easy and super quick. Don't forget that this set is on SALE along with so many more awesome stamp sets. 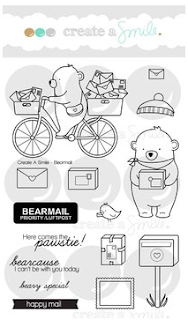 You could expand your Create a Smile Stamps stash and still have some money left in your wallet! ;) Go check it out! 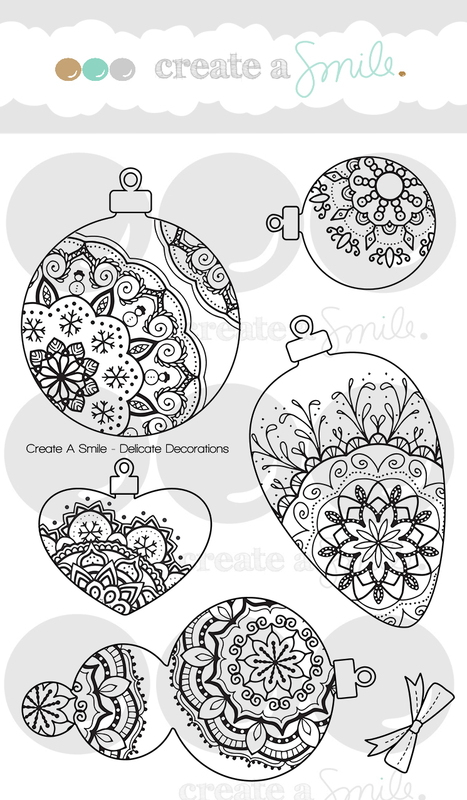 We'd love to receive some beautiful Christmas projects using Create A Smile products. It's the time of the year we are going to send some love to our family and friends for the holidays. So for today another christmascard. The card from today is a very quick one, especiaaly when you have to make lots and lots of cards it's nice to have some cards that don't take to much of your time and also turn out very nice. Start with a topfolded cardbase and sponge your background with distress ink in three different colors. For this card I used distress oxide ink they blend much nicer then the common distress inks. I wanted to create some kind of bokeh effect so I stamped the images with white pigmetink. Round the sentiment I used the stencil to give the sentiment some extra interest. Delicate decorations, Santa clumsy and Season's Greetings. Hey everyone! 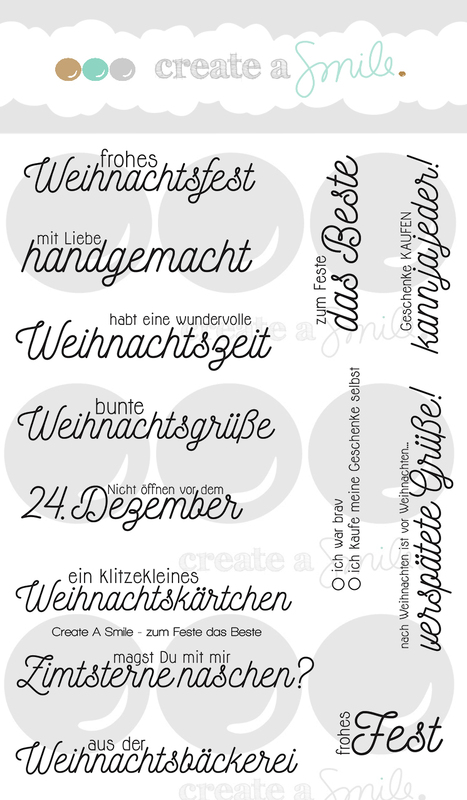 I thought we take a tiny break from Chrstmas cards and share a party invite card. Since it's party season, you might just need a little inspiration for your next party invite. Today, I will share with you how I used the entire fruit stamps you can find in the Fruit Salad stamp set. I've stuck the fruits down on the card base with dimensional stickers and pile them all up on one side. I've use the alphabet sticker to make the word "Party" and stuck down some enamel stickers for embellishments. Furry Up! Christmas is close! 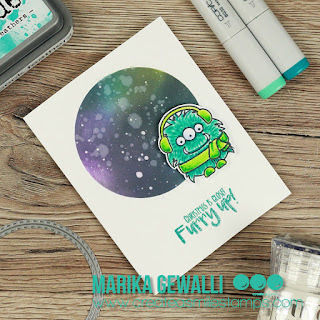 Marika here with a new card and video. It's slowly creeping towards Christmas so I thought it would be nice with a Christmas card. 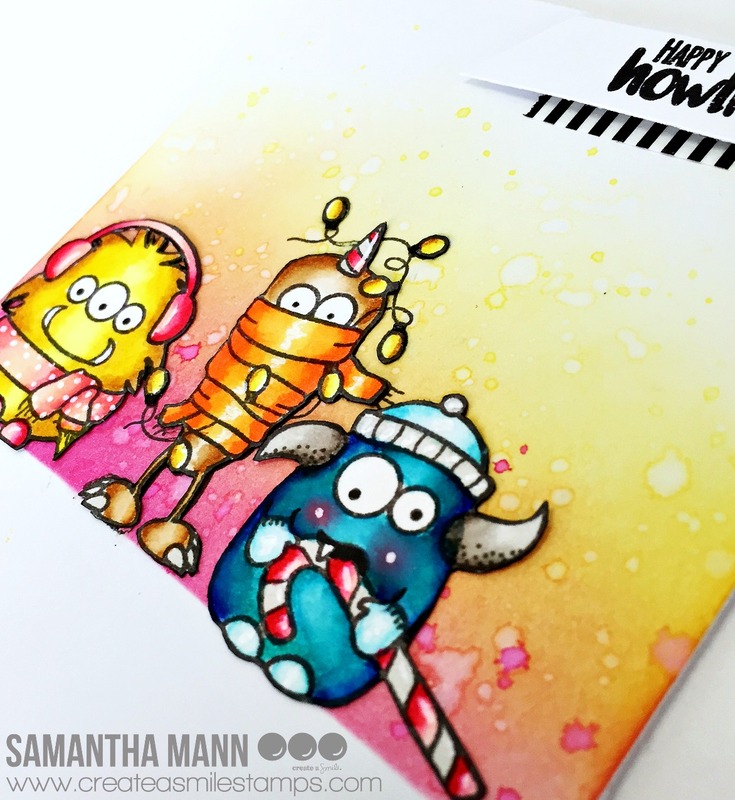 My absolute favorite stamps from Create A Smile is the monster sets, they are super adorable! So I knew I wanted to play with the new Beast Feast set. I also new that I wanted to do some mask blending for a circular motif, and when thinking about what colours to use the copic BGs are cool and perfect for a christmas/winter card. The BGs also work awesome together with Peacock Feathers Oxide Ink, which in turn work great in a galaxy background. And then the card just came together. When embossing over oxide inks, dry the ink first with your heat tool and then add some versamark as the oxide inks arn't always as wet as you want and the embossing powder might not stick enough. Samantha here, and today I'm sharing a cute, fun and FUNNY card using some of the newest release! These monsters guys...are seriously MY FAVORITE!!! I am in LOVE with their cooky, silly faces!! I think I'm going to make A LOT of cards with these guys!! Ha! - I heat embossed the sentiment in black, onto a strip of white cardstock, which I layered on top of a strip of black and white washi tape! I used a piece of computer paper to mask off the bottom portion of the card - computer paper is my favorite kind of mask! Oh my goodness - this might just be my new favorite Christmas set!! LOOOOOVE these monsters!!! Ha Everything on this card is from the Beast Feast stamp set. Hello and Hugs to You!